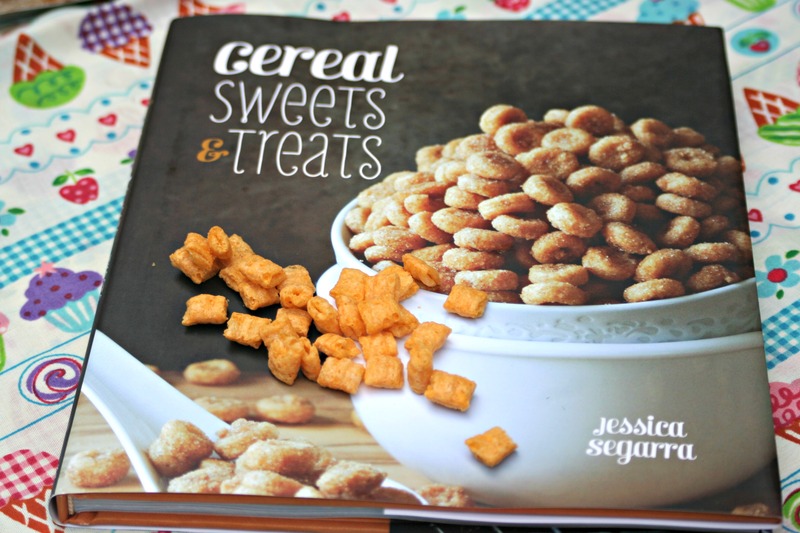 If you’re a cereal addict like myself, Jessica Segarra’s latest cookbook will make you go head over heels! “Cereal Sweets & Treats” has my current favorite cookie recipe: Cap’n Crunch Cookies, which we’re sharing with you today! So of course, when I was browsing through Jessica’s new book, I bookmarked all her Cap’n Crunch recipes. She’s got a Cap’n Crunch Milkshake I have yet to try, but I started with these cookies and let me tell you: they are DIVINE. It’s like a bite of your favorite cereal, in a buttery delicious cookie base. Easy to make and you probably have all the ingredients at home (because everyone ALWAYS has a box of Cap’n Crunch in their pantry, right?! ), so go ahead and make them! Jessica was generous enough to send me a copy of her new book and allowed me to share the recipe for these cookies with you, so you MUST make them! Preheat oven to 350 degrees. Line 2 baking sheets with parchment and set aside. In a food processor, puree 3/4 cup Cap'n Crunch until fine. In a medium bowl, whisk together powdered Cap'n Crunch, flour, baking soda, and salt. Set aside. In a large bowl, cream together butter, sugar, and brown sugar until light and fluffy. Add egg and vanilla, stirring to combine. Beat in flour mixture until a soft dough forms. Fold in remaining 3/4 cup Cap'n Crunch. Roll 1 heaping tablespoon of dough into a ball and place on prepared baking sheet, leaving room for spreading. Continue with rest of dough. Bake for 10-12 minutes or until lightly browned around edges. Remove from oven and let rest for 5 minutes on baking sheet. Transfer to wire rack and let cool completely. Serve immediately or store in an airtight container. Reprinted with permission from Cereal Sweets & Treats by Jessica Segarra. 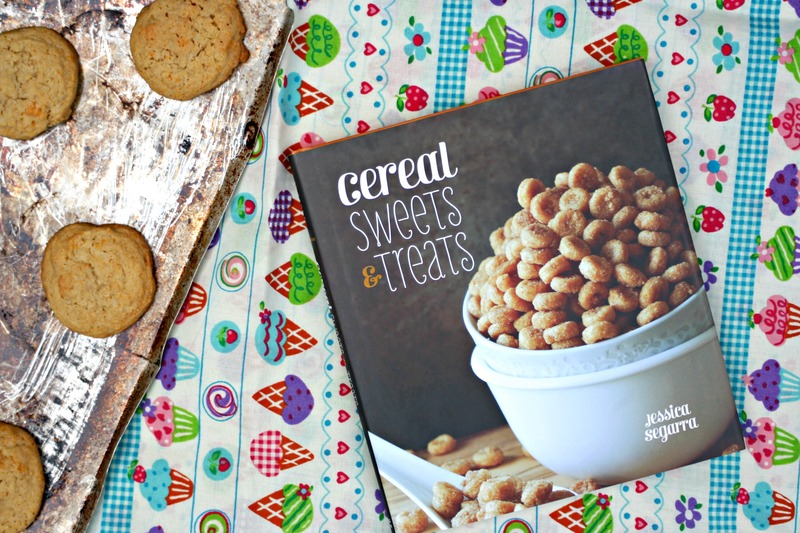 Cereal Sweets & Treats is a gorgeous book written and photographed by Jessica Segarra. The chapters are divided into: Bars (Pumpkin Cheerios Bars); Cakes, Cupcakes, & Muffins (Orange Frosted Flakes Glazed Muffins); Candies (White Chocolate Trix Bark); Cookies (Cinnamon Toast Crunch Macarons); and Frozen Treats (Cocoa Pebbles Ice Cream Sandwiches). Doesn’t it all sound delicious and so creative?! Grab your own copy of Cereal Sweets & Treats on Amazon and be sure to follow The Novice Chef on Twitter, Facebook, and her blog! Disclaimer: I received a free copy of this book, but would’ve bought it either way since I love Jessica’s recipes! I was under no obligation to write a review about it. I am so gonna try these and I need to get my hands on that book, looks like so much fun. Cap’n’Crunch cookies….come to mama!!! LOOOOVE these. Incredible.